The impetus for 40 Days of Hopeful Prayer came unexpectedly. Seated on our couch one night, I felt discouraged that I could not find the sustained time to write more extensively. In that moment of frustration, I suddenly felt inspired to change my focus, and attempt to write a prayer about a meaningful moment from the day or a collection of experiences that had affected me. I felt compelled to set my sights on forty prayers given the significance that this number holds in scripture. And so, over the course of the next year, many of my evenings ended with a prayer, and my illustrations of the leaves became a natural symbol of each. 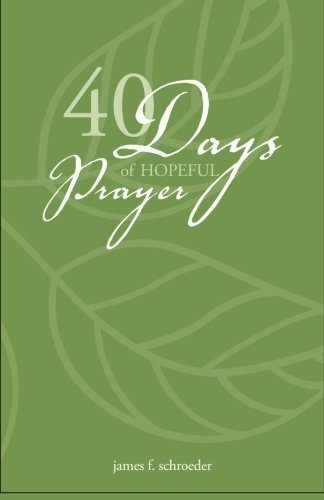 40 Days of Hopeful Prayer is written from the perspective of a child psychologist, a friend, a father, and a husband, and above all, one individual in search of hope and transcendence midst everyday challenges that life brings. It reflects my love of nature, and the beautiful diversity that trees bring to our world as one manifestation of divine brilliance.